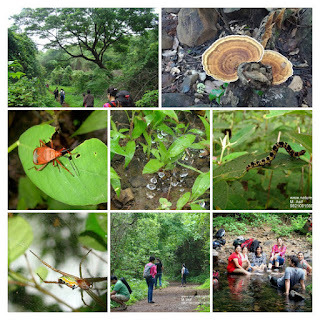 Trek offers view of Great landscapes from mountain tops; plenty of greenery and waterfall during monsoon and post monsoon; Bloom of plenty of wild flowers during ebbing monsoon months of September and Early October. Trek to Garbet Point Via Garbet Plateau; Starting from Village Diksal near Bhivpuri Station. Nearest railway station: Bhivpuri along Mumbai central line between Kalyan and Karjat. Total time required for climbing: around 6 to 7 hours. 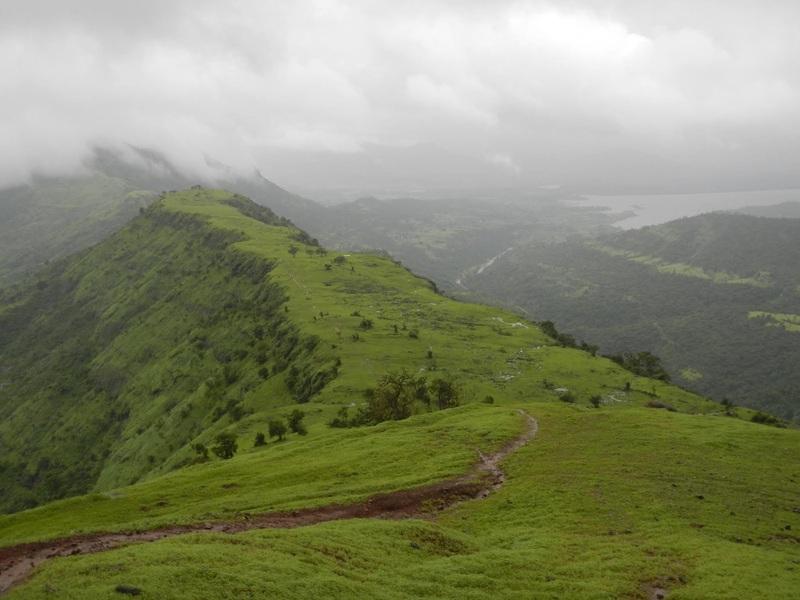 Garbett Plateau is located in the south – west direction of Matheran, offering a 360 degree view. This Fantastic spot was discovered in 1850 by Hugh Poyntz Malet, the collector of Thane district. Garbett point is located on South-west side of Matheran with grand view of the plateau. Climate here is very pleasant with some breath-taking views. 08.00 am - Meet us at Bhivpuri Station (Near main exit). 09.00 am - Start trekking. 03:00 pm – Expected time reach Dasturinaka. Budget for the Trekking trip will be Rs.750/- per person. For school going children / students 20% discount. Students 16 years and above will be charged same fee as adults. Minimum age of children allowed on this trek (10 years old and above). Trek Lead and Management Charges. Basic First Aid; Safety Rope. Travel from Bhivpuri railway station to base village if any. Matheran (Dasturi Naka) to Neral Station (Share cab fee). Food: Basic village Breakfast or packed breakfast and; Evening Tea Snacks at Neral. Evening Tea or Coffee and Biscuits at Neral Station. (note: cost of any other snack / beverage / bottled water ordered at Neral Station canteen has to be borne by participant). Train Tickets from home to base station and from Neral to Home. Any other personal expenses such as meals, porters’ charges, soft drinks etc. Carry all items properly packed in proper backpack. During monsoon keep all items in waterproof sacks/dry bags before packing it in your backpack. Waterproof bag cover is also hand as it protects the bag and the items kept within it. Rain Wear / Ponchos during monsoon season etc. Personal 1st aid (General first aid is available with the trek lead).
" Leave only footprints and take only Memories"
Few tips for do-it-yourself trekkers in terms of directions: (How to reach there and trek). Board a Karjat/Khopoli bound train on Central Railway and alight at Bhivpuri Road station. Exit from the east side and pass Diksal village to enter the Bhivpuri lake environ. Proceed along the southern edge of the lake in the general direction of Garbett plateau. Cross small several small streams to reach the first landmark, a huge tree on a hill ridge. The ridge takes you to the base village for Garbett plateau, Sagachi wadi. Confirm the direction with villagers & climb the trail over the spru to reach Garbett plateau and onwards to Garbett point. One can proceed to either Dasturi Naka or the Matheran railway station from the point. From Dasturi Naka you can use share cab service to reach Karjat, or Neral Station or Event direct to Mumbai.